Are you looking for a beautiful, light, spacious 4-room apartment (95 m2) with parking space? 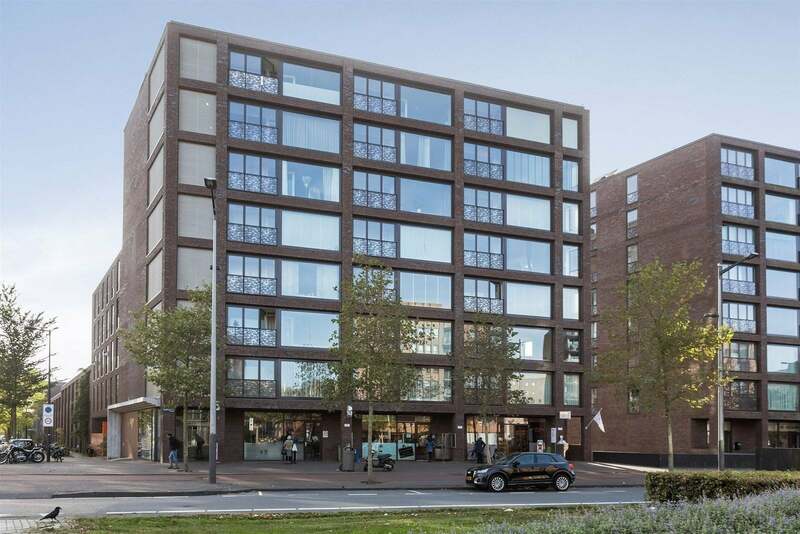 The apartment is located on a very popular part of Haveneiland in IJburg. Just a few minutes' walk away are various facilities including a bakery, butcher, fishmonger, ice cream shop, a Turkish supermarket and a large Danish supermarket. The island also has various primary and secondary schools, health centers, childcare centers, a large shopping center and Amsterdam creative shops. IJburg is located directly on the A-10 (exit S114) as well as the Eastern Access to the A-1 and A-9 are within reach. Tram line 26 (stop two minutes from the house) will take you from IJburg to Central Station in approximately 15 minutes. Bus 66 runs to the Arena in 15 minutes. Communal entrance with telephone and letterbox tableau from where access to the stairwell and the elevator. Entrance on the third floor, hall with meter cupboard, large storage room with washing machine and dryer connection, toilet with toilet and fountain. Three bedrooms, one of which has become a walk-in closet. The bathroom has a walk-in shower and sink. You enter a lovely living room with a lovely sitting area and dining area. Luxury open kitchen is fully equipped. Next to the apartment is a very large storage room of approximately 12.5 m2 and on the ground floor is a private parking space in a closed and covered parking area. * Fantastic apartment with all amenities around the corner!